Often, athletes who are looking to add mass end up doing as much advanced math as those trying to shred. It doesn't have to be this way! Organize your bulk around these rules, and remove the guesswork. If you're a professional sports athlete, dialing in your nutrition is as easy as consulting with your team trainer and having your personal chef prepare all your meals. Each plate arrives in front of you with precise macronutrient ratios dialed in, and it tastes far better than if you were to try to make it yourself. Nutrition solved. Life for the rest of us isn't quite so easy. We have limited resources, and we're forced to stay on top of our individual nutrition needs. We prepare our foods ourselves, act as our own bodyguard when late-night cravings strike, and fight the fast-food advertising that succeeds in reaching our eyes. So what do we do? We become our own ad hoc nutritionists. We start counting calories and tracking everything we eat in confusing apps and food journals. But deep down, we don't really believe it should be that complicated. So we end up getting discouraged and quitting before we get where we wanted to go. If you've ever started a bulking "diet" with visions of looking like Zeus but ended up more like Buddha, the problem wasn't your math—it was your choices! Sure, if you've got lofty goals like competition, then counting may be unavoidable. But if your goal is simply to add lean size, then these eight rules are all you need. Take them to heart and start growing! What Does Roughly 40 Grams Of Protein Look Like? You know protein is essential to building and repairing muscle, but do you know how much 40 grams looks like? Is it a 4 oz. chicken breast? Six? Ten? If you don't know, it's time to start getting more precise about how big of portions you consume at every meal. That doesn't just go for chicken, either. 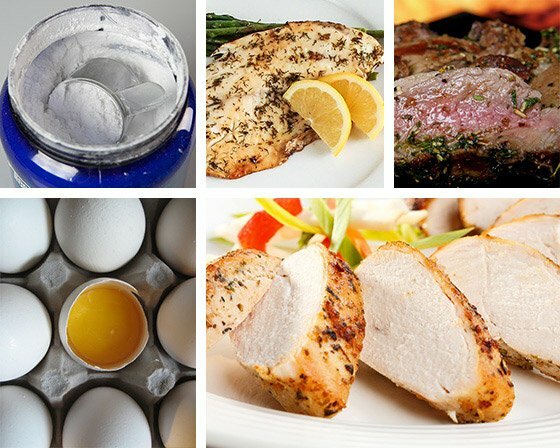 You need to learn how to effectively eyeball a mass-building serving size of about 40 grams of protein with steak, fish, turkey, dairy, eggs, and even protein powder. If you can get that amount of protein at each of your 5-6 meals each day, the most important growth nutrient will be accounted for. Opt for fowl without skin and leaner cuts of steak like loin and round cuts when choosing lean protein sources. When eating out, avoid any proteins that come battered and fried. Grilled and broiled meats are always better options. Making the right choices helps save you a boatload of extra calories with far less chance that it'll hang from your midsection. Sugar-sweetened teas and coffees, flavored drinks, smoothies, juices, and sodas account for a whopping 37 percent of all calories Americans consume, and these fast-digesting carbs can send your blood sugar—and insulin levels—skyrocketing. With so much sweetness around us, it's no wonder that the number of overweight people in the world recently surpassed the undernourished for the first time in human history. Luckily, you only have to watch your waistline. The take-home here is to be principled about which carbs you allow into your body. Choose slow-digesting complex carbs such as brown rice, yams, and quinoa, as well as starchy carbs including whole-grain breads and pasta. You'll have sustained energy throughout the day, and the lower insulin response means you'll be less likely to store any excess calories as body fat. When it comes to beverages, water can keep you refreshed without all the extra sugar. Eat and drink like a grown-up rather than a child for a while and you may actually look like the man or woman you always wanted to be. 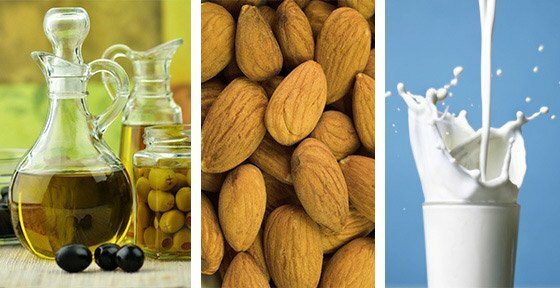 Dietary fats often get a bad rap when you're trying to eat clean, but they're far too important to eliminate entirely. Not only do they contain a number of key vitamins and help us absorb a number of others, but they're also essential in the production of key muscle-building hormones like testosterone. To build mass, aim to get 30 percent of your calories from dietary fats. Yup, I said no calorie-counting, but you can get to this number without any scales or reference materials. Where you'll get into trouble with this macronutrient is when you make the wrong choices. To build mass, aim to get 30 percent of your calories from dietary fats. Choosing an 8 oz. prime rib over sirloin more than doubles your fat intake and nearly doubles the total number of calories, for instance. The same goes for ground beef rather than extra-lean ground beef. Let common sense guide you. Stay away from anything battered or fried, stop at a handful when it comes to fat-heavy nuts and seeds, and you'll be fine. If your body weight has remained constant with no noticeable changes in your body fat, chances are good that you're expending about as many calories as you eat per day. If you're looking to add mass, then you simply have to consume more calories above and beyond what's needed for bodyweight maintenance. You may already be eating 5-6 times per day—and if you aren't, consider how difficult it is to consume enough clean foods in just three meals. But if that's not enough, start adding 1-2 small meals each day to your intake, preferably as high-protein snacks that won't interfere with your appetite at a later meal. The extra calories will start tipping the scale of calories in/calories out, and you should notice small but significant strength and size gains within a few weeks. If you're still not seeing progress, double those portions. Want to know where to start? Consider a pre-bedtime meal of slow-digesting casein protein. A 1.5-cup serving of cottage cheese or some supplemental casein alongside a small serving of nuts and seeds should do the trick. Make sure to skip most carbs at this late-night meal to ensure an insulin release doesn't send those calories to fat stores. Hard training expends glycogen, the stored form of sugar in muscle tissue and the liver. It also elevates levels of the catabolic hormone cortisol, meaning this is a great time for a fast-digesting meal. Nothing is faster than taking your shaker cup filled with the protein of your choice. Even soy protein, which gets a bad rap these days, is better than no protein at all after your training. While your focus throughout the day was on slow-digesting carbs, after your workout your body needs fast-digesting carbs in the form of sugar—glucose and dextrose are ideal—to drive protein to your muscles. With a quickly digested shake, you'll still be hungry for a post-workout meal some 60-90 minutes later. There's always a wiseguy who'll tell you that you don't need supplements—and he's right. But few of us have the time to prepare 5-6 clean, high-protein meals each day that contain all the right foods that provide not just the key macronutrients, but also enough creatine, BCAAs, and other key ergogenic support nutrients to help recover from hard training. Strive to get at least three main meals of whole foods, and use supplements to address what you may miss based on your goals. Let's face it: Two scoops of whey powder in a shaker cup is the easiest way to get your 40 grams of protein, especially if you're away from home. This was true 20 years ago, and it'll be true 20 years down the road. Strive to get at least three main meals of whole foods, and use supplements to address what you may miss based on your goals. Since taking in 40 g of protein at each feeding is your number one priority, a good whey supplement is still your smartest investment. Many bodybuilders would rather miss a movie, a class, or a social occasion than skip on their workouts, but that mentality needs to carry over to their eating, too. Think about it: You're reading this today because you'd like to add mass, but I'll bet you can point to any number of occasions when you've missed a meal because you were too busy and weren't prepared. You need to start thinking that missing a meal is worse than missing your workout. 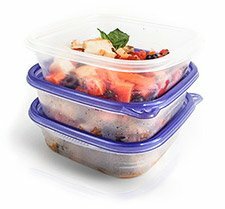 Stock up your fridge with high-protein and clean foods, reserve an afternoon on the weekend to cook for the week ahead, and invest in Tupperware containers that keep your food fresh. Haul it along to work or class, and don't blink at bringing your cooler to the gym for a fast and easy post-workout meal. If you've been self-conscious about taking steps like these that put your fitness quest out in the public eye, it's time for you to start wearing your goals proudly. This step—and the time it requires—are key if you're serious about packing on the pounds. Each time you reach for food—any food—consider how it's going to help power your performance in the gym, and where it'll go on your physique. Even if you train hard for 90 minutes or more every day, you can sabotage your goals by not keeping a watchful eye on your diet. Ask yourself: What did you do the last time you were really, really hungry? This is when you'll make poor choices like going to a fast-food restaurant or buying ready-made dishes at the market. Alcohol may seem like it's free of nutritional consequences—after all, it's just a little fluid in a glass, right? —but it's often loaded with sugar, and bartenders are eager to help you make bad choices. Clean house while you're at it! Throw away cookies, chips, and other definition-robbing foods so you don't even have the option of eating them. They have little nutritional value, but more importantly, junk foods take the place of the clean foods you should eat. In bodybuilding—more than any sport—you truly are what you eat. And you or your loved ones will eat what you have in the house. Strategic overreaching is a game-changer when it's done right. Follow the protocol from a groundbreaking study which produced incredible gains in strength and size! Build A Body That Looks As Good As It Performs! The ancient Greeks were famous for valuing aesthetics and athletics. Learn how you can apply 5 of their principles to building a body that would make Adonis jealous! Want to know how cover models build such perfect bodies? Here are 6 secret weapons they use to set themselves apart! Bill Geiger, MA, has served as a senior content editor for Bodybuilding.com and group editorial director with MuscleMag and Reps magazines.